The Renault Trafic SL27 DCI 125 Sports Nav Bi-Turbo van is a versatile vehicle that features a fuel efficient Twin Turbo engine. This Trafic has been designed to meet the professional needs of a wide variety of business environments by innovating clever storage solutions that make use of a more practical loading space. 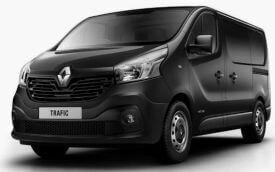 The Renault Trafic SL27 DCI 125 Sports Nav Bi-Turbo is available to buy now for an affordable price from UK Vans Direct. 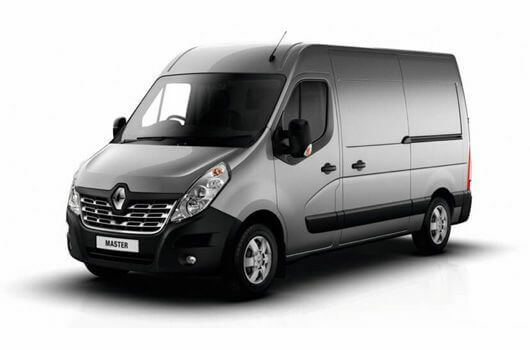 With a standard wheelbase length of 3,098mm and a load height of 1,387mmm, the SL27 model of the Renault Trafic Bi-Turbo van features a practical load area volume measuring 5.2 cubic metres with a maximum payload of 1,075kg. This Twin Turbo engine of this Renault Trafic Sports Nav van produces 125 horsepower and benefits from the same advanced engine technology developed by the Renault Sport Formula One Team. Part of the latest Euro 6 generation of engines developed by Renault, this Bi-Turbo engine includes Stop and Start technology and a regenerative braking system which improves the Trafic’s fuel economy while lowering emissions and overall running costs. 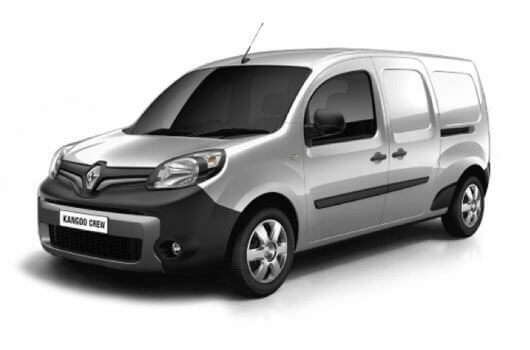 The Renault Trafic SL27 DCI 125 Sports Nav Bi-Turbo van is available now from UK Vans Direct for £15,995.00 plus VAT and Road Fund Licence. There is also a hire purchase deal available for £267.65 per month. Delivery of the van is free of charge. For more information about the efficient and clever Renault Trafic SL27 DCI 125 Sports Nav Bi-Turbo van, call our team of Renault van experts on 01709 717200.